Toothbrush activated by Light. 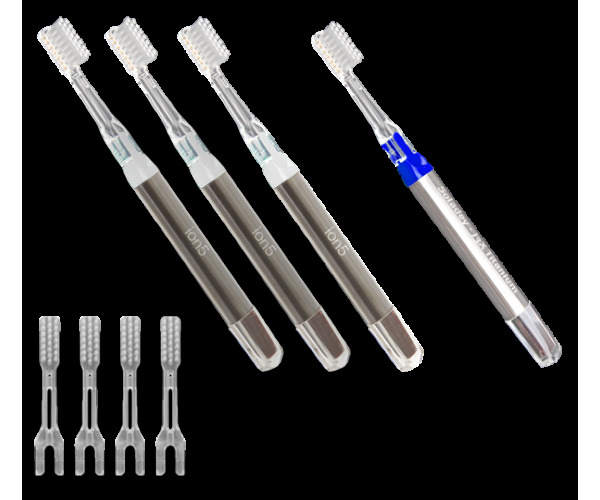 Breakthrough technology perfectly clean and protect your teeth. Thanks to revolutionary technology will make your smile even healthier and whiter than ever. THIS REVOLUTIONARY TOOTHBRUSH IS A NEWCOMER TO THE DENTAL HYGIENE MARKET IN SLOVAKIA. 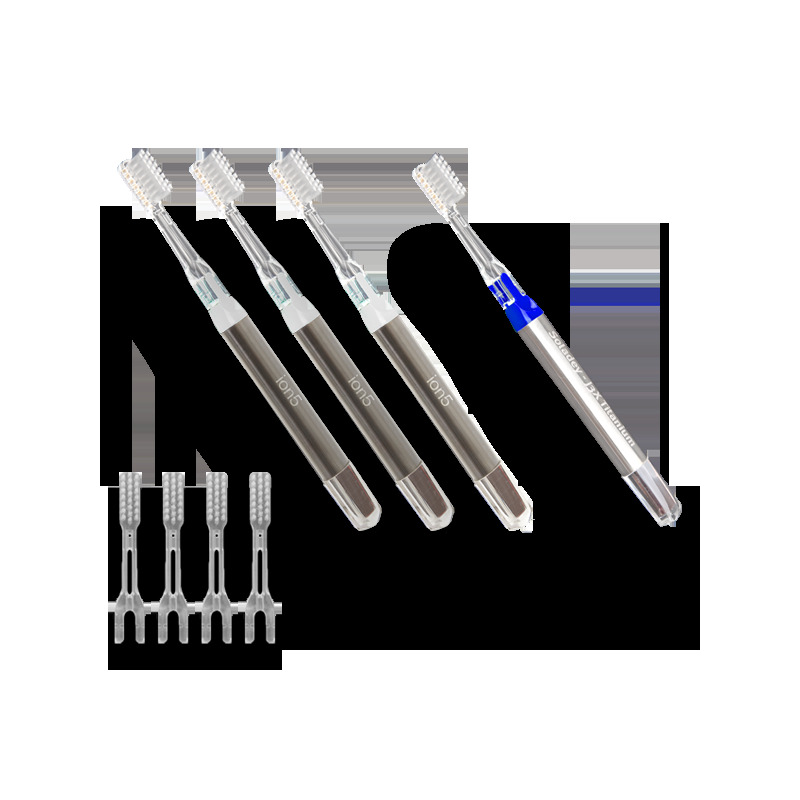 A semiconductor titanium dioxide rod, which is activated by any light source (daylight, fluorescent lights in the bathroom, clear fluorescent tubes) is integrated within the brush handle. 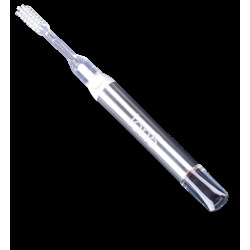 After being activated, the titanium dioxide rod begins to emanate negatively charged ions, which are mixed in the mouth with saliva and react with positively charged ions from the acid contained in the plaque. 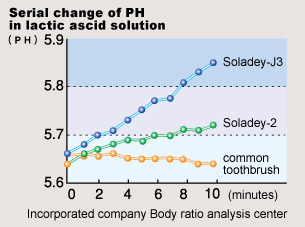 After a chemical reaction, the pH of saliva in the mouth changes; the environment changes from acidic to neutral. That is the important moment when our tooth enamel becomes more resistant to undesirable bacteria. Titanium dioxide is an insoluble metal which does not corrode in water and is reliably safe. Is also is used by the food and construction industries, particularly due to its antibacterial effect. 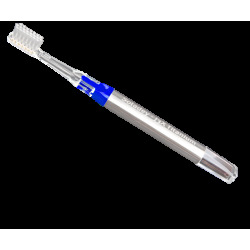 Soladey-eco does not need toothpaste for perfect cleaning of the teeth, just light and water. You do not need to worry that your tooth enamel will be badly stained. Cleaning of teeth without toothpaste restores their natural colour. If you cannot get rid of unpleasant odour after cleaning your teeth with the Soladey-eco brush, we recommend using mouthwash. Moreover, the Soladey-eco brush is a good investment both from a health and economic point of view. When used properly, the handle, with its titanium dioxide rod, will last a few years. It is only necessary to exchange the head. Entering an email, you agree to the terms. Follow us, share and get discount!